Microsoft released a fresh new Preview Build to Windows Insiders today from its Redstone 5 branch. While today’s release brings a number of new feature improvements, it is also removing possibly the most innovative Windows feature that we have seen in years. Windows 10 Sets is Microsoft’s way of adding tabs to the File Explorer. The feature is designed to improve user productivity by bringing everything related to a task at the same place. From relevant webpages and Word documents to other files and applications, the feature takes a lot of working together between different apps and the operating system to bring convenience to the end user. 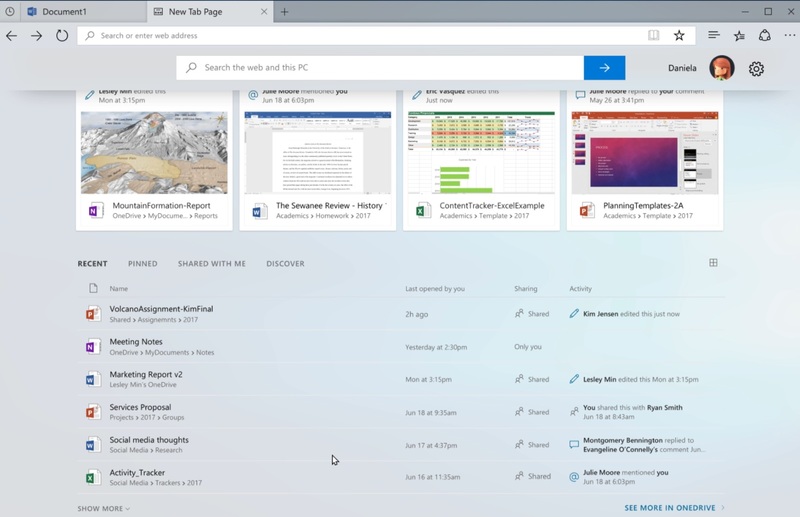 Microsoft managed to bring first party experiences like Calendar, Mail, Microsoft Edge, and One Note together to create a seamless experience for Insiders. However, it appears that the feature may not be ready for primetime when the next Windows 10 version goes live later this year. Starting with this build, we’re taking Sets offline to continue making it great. Based on your feedback, some of the things we’re focusing on include improvements to the visual design and continuing to better integrate Office and Microsoft Edge into Sets to enhance workflow. If you have been testing Sets, you will no longer see it as of today’s build, however, Sets will return in a future WIP flight. Thanks again for your feedback. The company hasn’t promised when should Insiders expect to see Windows 10 Sets coming back, however, it is highly likely that Sets will be pushed to next year’s Windows 10 releases. The feature has attracted a lot of attention from both the Insiders and Windows users. Sets not only bring multiple apps, websites, and files into an activity set but also sync across multiple devices and with the Timeline feature, making it a truly innovative productivity feature. It appears we will have to wait a little longer for Sets to appear. In the end, it’s all about the experience and users won’t really be disappointed if this wait enables Microsoft to make Windows 10 Sets bug-free.